During the early Fifties, Renault produced no other passenger vehicle than the tiny 4CV and the large Frégate, with nothing in between. This didn’t matter much at the time, but a dozen years later, automobile manufacturers were trying to build more comprehensive ranges. By this time, Renault was offering the R4, a popular hatchback; the R8, a rear-engined saloon which succeeded the Dauphine, nonetheless kept in production; and the R16, a family saloon. 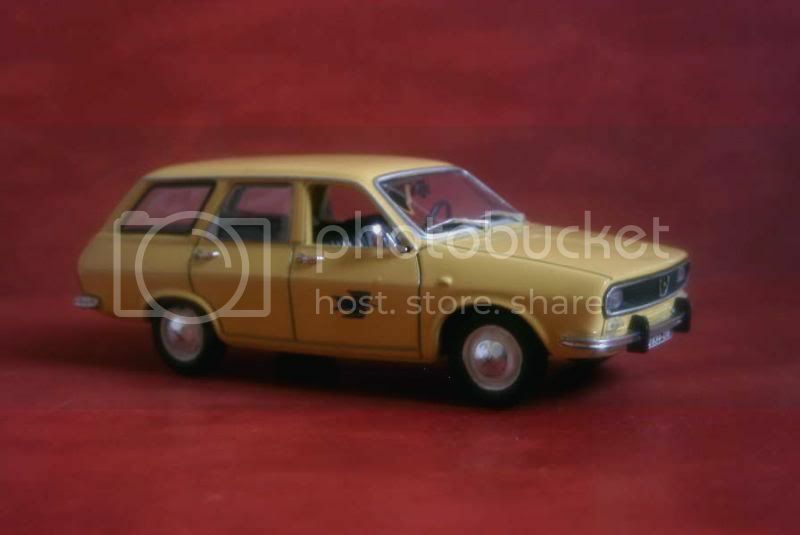 We should also add to this list the Rambler-Renault, which was nothing more than a rebadged AMC built under licence in Renault’s Belgian production unit in Vilvoorde. The R16 was too large to cater for more than the upper middle-class customers, leaving a gap in Renault’s range which the manufacturer was trying to fill up. The new R10, which was actually a dressed up R8, was only a stopgap. Renault was well aware of this and in 1965, started to work on the project that would lead to the R12. The R4 and R16 had been relatively advanced automobiles at the time of their launches. This would contrast with the R12, which was intentionally designed as a very orthodox saloon. For example, though it adopted a front engine, front-wheel-drive layout as all new Renaults, it did away with an all-independent suspension and reverted to a solid rear axle. Style was pleasant, but once again extremely conventional: while Renault was appearing as building up a reputation as a hatchback manufacturer, the R12 was a standard 4-door saloon. Its engine was a 1.3-litre four developed from the tested block used by the R8. All in all, the R12 had been conceived as a sturdy, no-frill family car that would be spacious yet economical. 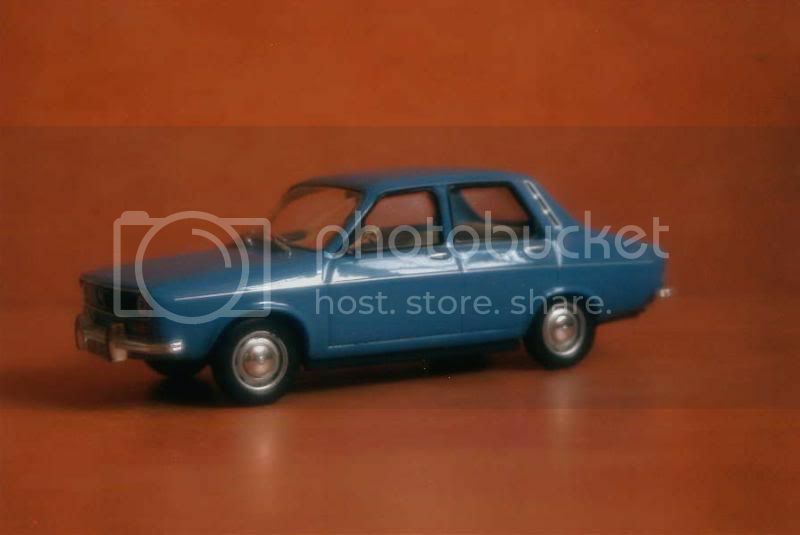 The new Renault hit the market in September 1969 and, interestingly, was simultaneously introduced beyond the Iron Curtain as the Romanian-built Dacia 1300. We have already seen how automobiles too much ahead of their times don’t sell. To all innovators’ dismay, in contrast the very plain R12 encountered a large success. After Renault presented an estate variant in October 1970, then added well-needed glamour to the range during the following year with the fast Gordini, the R12 grasped the country’s first rank in sales volumes in 1973. The R12’s success extended well beyond the French borders. It became a popular car in most of Europe, and was widely produced abroad. 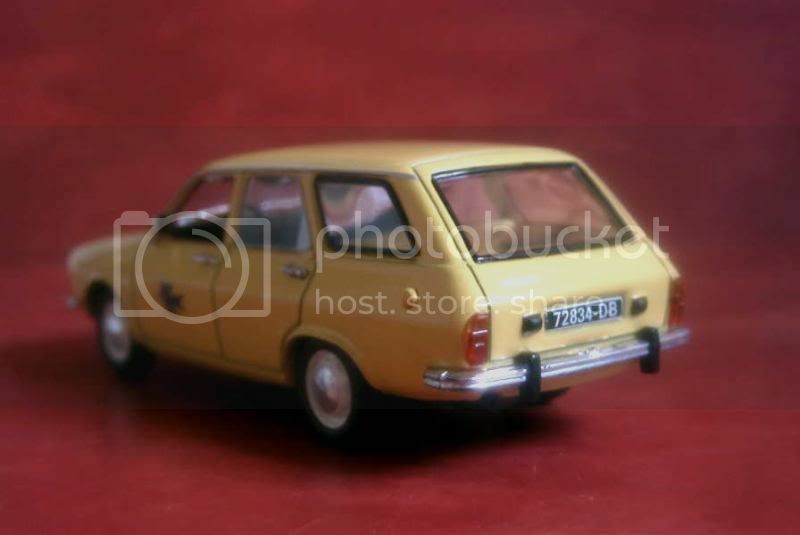 Apart from its Romanian cousin, the Renault 12 was actually assembled on every continent, from Canada to Madagascar, from Argentina to Turkey, from Australia to Morocco, etc. 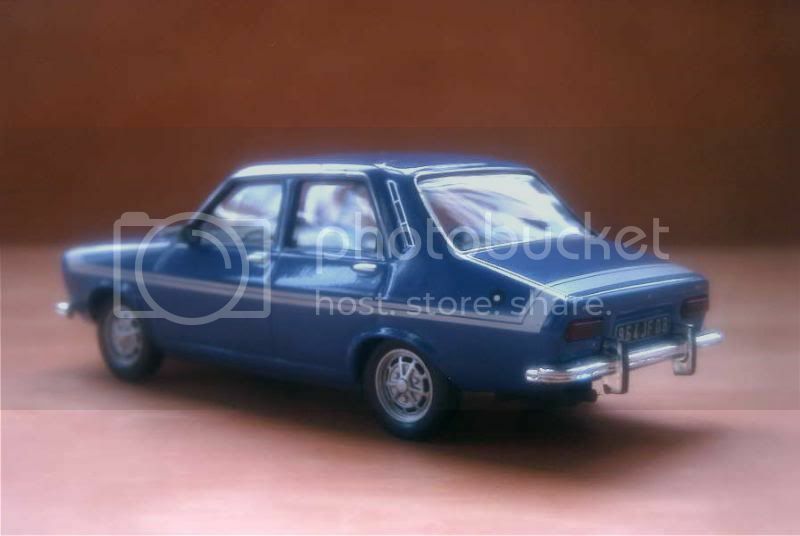 In fact, some of these foreign plants produced the car well after it had retired in France, the very last of them being Dacia, which produced until 2006 a pickup version it had locally developed with either rear-wheel-drive or four-wheel-drive transmissions. For model year 1976, Renault gave its R12 a new lease of life thanks to a facelift. This allowed the car to pursue its career beyond the introduction of its replacement, the R18 presented during the summer of 1978, as a simplified R12 range carried on until the end of model year 1980. Despite its complete absence of boldness, two millions had been built. 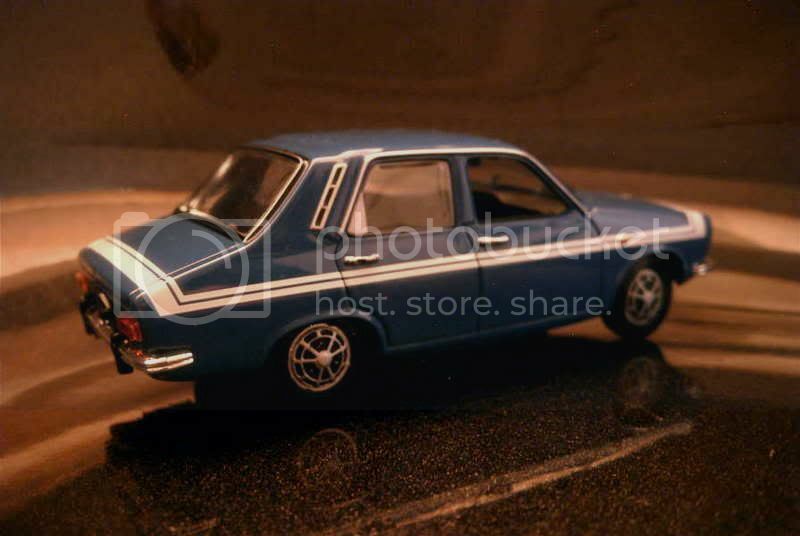 Before closing this story, two other cars based on the Renault 12 have to be mentioned: the Renault 15/17 coupes, and the Brazilian-built Ford Corcel, which had a totally different body but was based on the R12’s underpinnings. 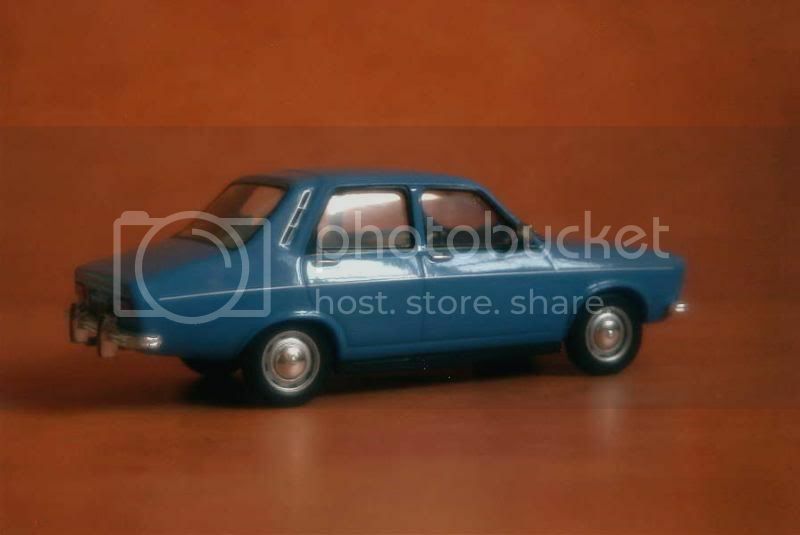 Plain was the Renault 12, plain is its rendition by Ixo. Nothing’s really bad about this die-cast, yet nothing’s extraordinary either, just another standard model distributed in large volumes by Altaya. 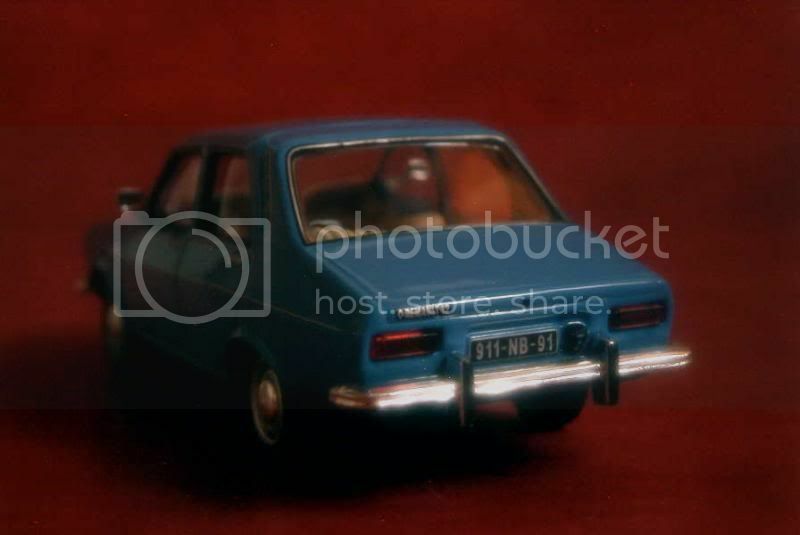 Separate parts are few, and rear lights are made in solid red plastic. 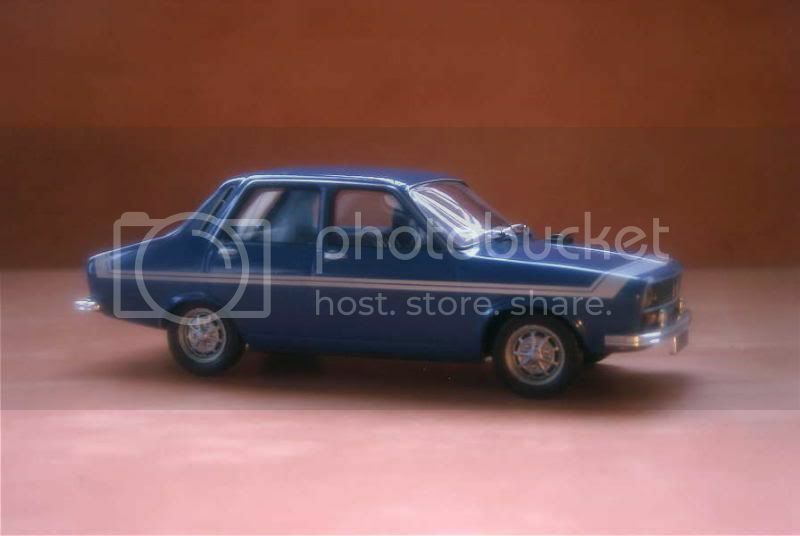 Ixo decided to paint its model in blue, probably a wrong choice as it was predictable that, one day or another, Altaya would request a Gordini version of the car in the same colour. My rating is 11/20. In all respects, Norev crafted this R12 from the French postal services much more carefully than Ixo did with the previous model. Details are pleasant and rather accurate. A good surprise considering it’s coming from yet another press series, and well worth 14/20. 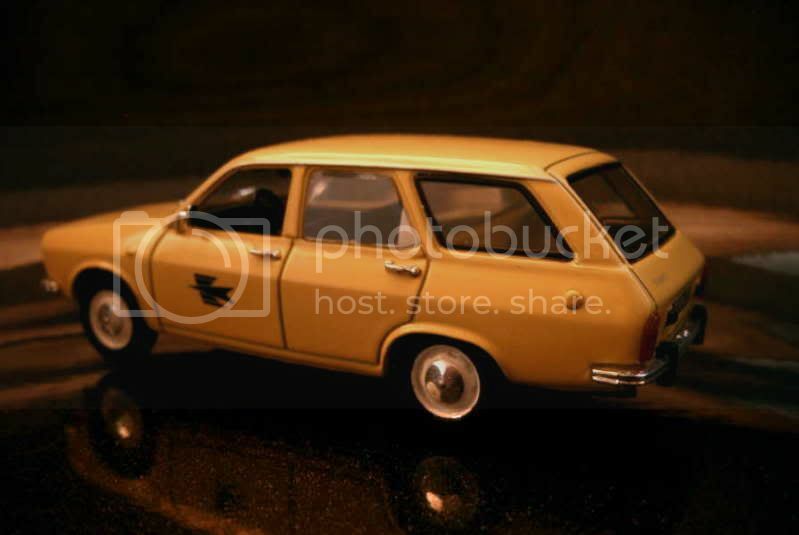 A well-made model that is unfortunately betrayed by some of the most oddly-fitting wheels I’ve ever seen on a die-cast. Too bad: only 11/20. 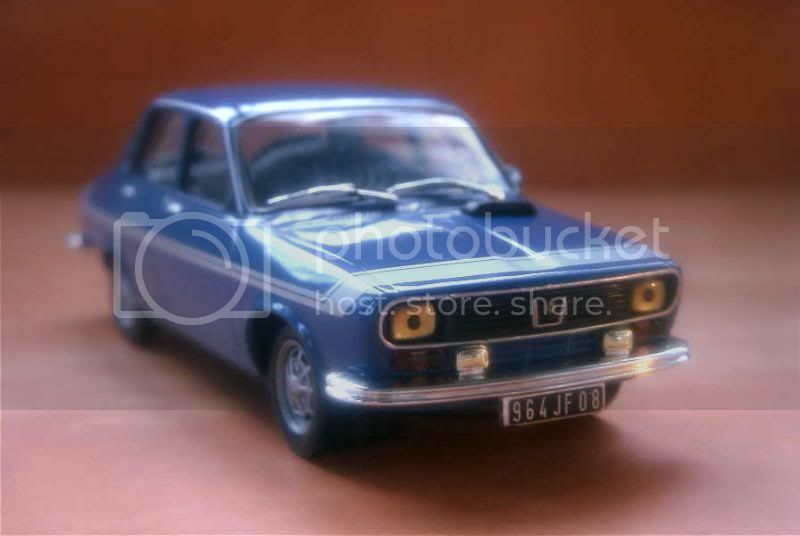 As mentioned above, this model is part of a commemorative “Gordini” set presented in a specific box. 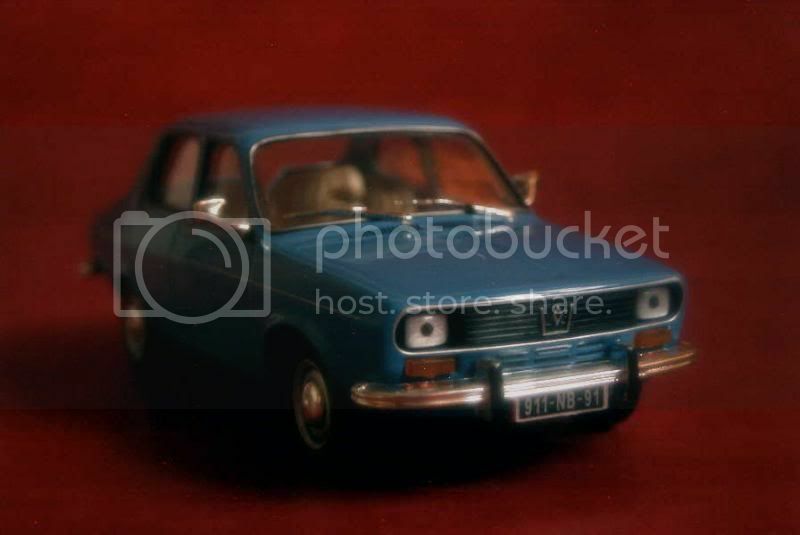 Two other die-casts are included, a Dauphine and an R8. Note that these three cars do not represent the totality of the Gordini-badged cars that Renault ever produced, as an R17 Gordini has also been offered. Bingo! 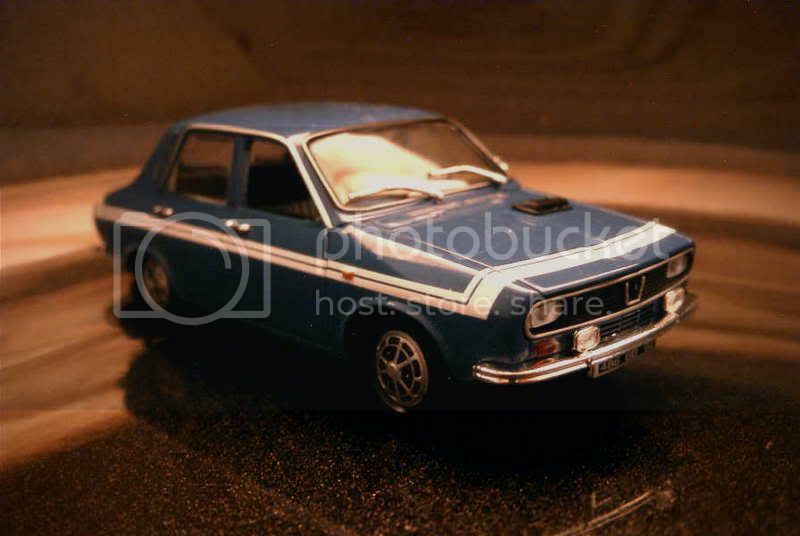 Two extra lights, an air scoop on the bonnet, specific wheels (couldn’t appear more plastic-like) and the traditional blue paintjob, and Altaya had an R12 Gordini for its long-running collection about classic French cars. To be frank, all these little details succeed in adding some zing to the model presented above, so I’ll push my rating to 12/20 here. Your story & knowledges is fantatic but is it possible to choose a bigger words , more simple form to tell a story. I'm an old man & it hard for me nowaday to write news paper , novel , paragraph & etc.Make it simple & easy to read. Hope you don't mind my comment.No offend. Anyway i enjoy reading your work. No problem at all with your comment, on the contrary, I'm the one to thank you. I'll try to take your remark into consideration, but I'm afraid it'll be hard to alter my style... Plus, almost since I started this blog I tried to keep my posts short and simple, mostly to save precious time while writing them, but result has never been up to my expectations. By the way, what do you exactly mean by "choose a bigger words"? I think i have to apologize to you being so bold. It is ok with your story & wording.I just sometime choose a person put into test.I'm still young not a old man yet. Hope you don't be mad & forgive me. Now i know i got you say "Catch yah".Say "Cheese".Just like hidden camera on tv programme.